Norma Instruments Zrt. is a start-up company that specialized in the designing and manufacturing of high quality and innovative blood analysis systems serving the in-vitro diagnostic (IVD) market. Since our company’s launch in 2012, Norma grew into an international company that operates in nearly 70 countries today through a well-established and well-trained distributing network. Norma has a devoted team with many years of experience in the development, production and commercialization of laboratory diagnostic equipment. Our product range consist of hematology analyzers and reagents for human medical and veterinary use. Our instruments can perform one of the most common hematology test, the complete blood count (CBC), a quantitative test that counts the number of various white blood cells, red blood cells and platelets in the human and animal blood. A CBC test is important because it can evaluate one's overall state of health and is used to diagnose several disorders, including anemia, infections and leukemia. For this reason, hematology analyzers are an essential part of every laboratory worldwide. Norma was among the first companies to utilize microfluidic technologies in the development of hematology analyzers, which allowed us to develop the smallest hematology analyzers with the smallest sample volume processing and smallest reagent consumption in the world. These new, environmentally friendly innovations enable the analyzer to be used in point-of-care or near-patient testing environments, such as in Intensive Care Units, Emergency Departments, General Practitioner Offices, Blood Banks or even in Mobile Care Units, thus patients can receive faster diagnosis and treatment, helping them with more efficient and faster recovery. 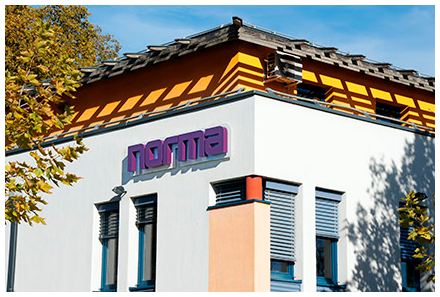 Since the launch of our company, Norma has acquired several patents and awards, from which the most outstanding were the International Red Dot Design Award in 2014 and the Hungarian Millennium Innovation Award in 2016.